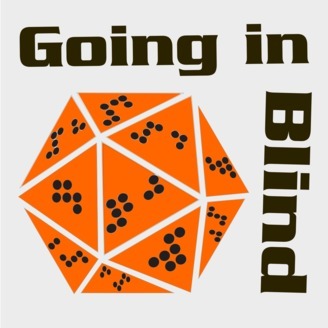 Going In Blind - a fortnightly podcast where a group of Vision Impaired players sit down at a table, roll a few dice and together play Dungeons and Dragons 5th edition, with plans to expand into other Tabletop RPGs. We record our game with music and sound effects, with dramatic recreations of the big moments of the story as it unfolds. In this, the season finale of Going In Blind, GALLIC the Dwarven Cleric and LINKA ‘the Momentous’, a Halfling Sorcerer, finally face down the creature in the room. Will they make it out alive? Will their wolves? Where is Gundren? Find out! 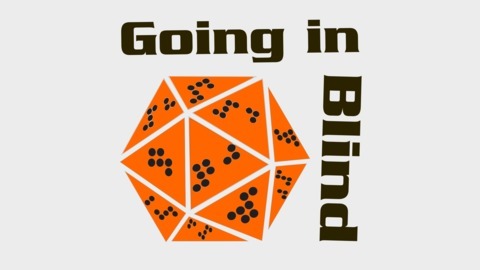 Going In Blind is a Dungeons and Dragons Actual-Play podcast with Vision Impaired Players. The Theme Music is Crusade by Kevin MacLeod. In-Game music is from the Syrinscape App. Check out our twitter, facebook & youtube..
Rate us on iTunes! Comment and we'll give you a shout out in our Behind The Blind episodes!